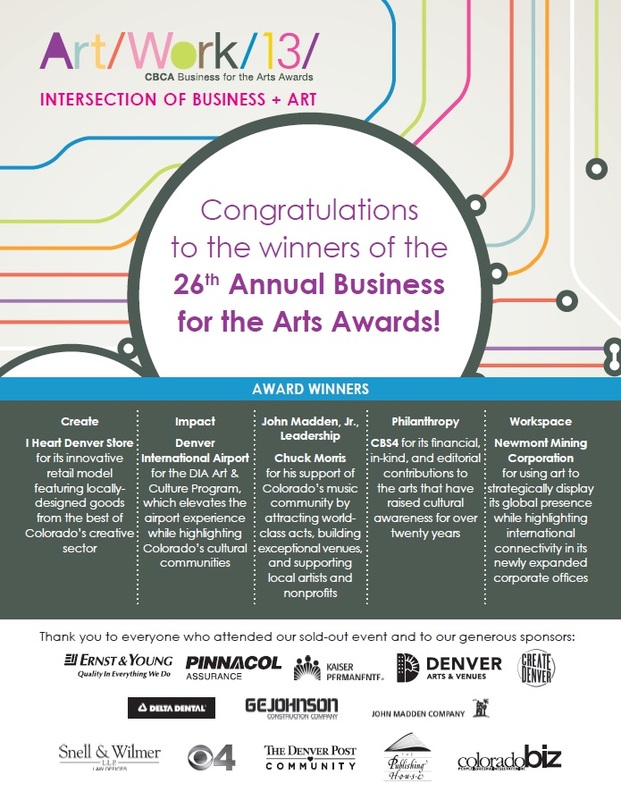 Earlier this week Corona Insights attended the CBCA’s 26th annual Business for the Arts Awards Luncheon. The event was filled with beautiful performances, great food, and incredible examples of work being done in Denver at the intersection of business and arts. Corona Insights would like to congratulate and commend all of the nominees and winners on their inspiring endeavors. Amidst the luncheon, Mayor Michael Hancock noted that the process is underway to create a cultural plan for Denver. Corona Insights is thrilled to be working with Denver Arts and Venues on the development of this cultural plan, called Imagine 2020: Creating a Future for Denver’s Culture, to help guide Denver through the next seven years and beyond. As the Mayor noted, Denver is already teeming with arts, culture, and creativity. Corona’s role is to facilitate the planning process and help take Denver to the next level. Denver Arts and Venues and Corona are preparing for a convening to learn about key stakeholders’ vision for Denver’s future. In the coming weeks, we will be working to engage the public in the planning process as well as the greater creative community to learn what the City envisions, and Corona will be working with Denver Arts and Venues to craft the cultural plan. Be on the lookout for Imagine 2020!